If you are looking to sell your house in Shreveport, one of the most important things to do is to start staging your home and prepare it for open houses. Getting your house market-ready is key to making a successful real estate sale, and it all comes down to the finer details. 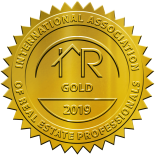 At Laura Dean Real Estate, I do everything from home valuations and short sales to real estate listings, real estate staging, and more. Contact me today for help selling your home, or continue reading for some quick home staging tips! When it comes time to sell your house, the first step is to get rid of clutter. Purging your home of clutter makes it look bigger, tidier, and more appealing, so get rid of any old clothing, outdated furniture, holiday decorations, papers, and other miscellaneous items that are taking up extra space. Consider having a garage sale several weeks before you put your house up for sale, or donate these items to a local nonprofit. The point of this is to make your home more attractive to potential buyers, so if you have items you don’t want to get rid of, move them to a storage space during the open house. Once you’ve gotten rid of clutter and tidied up your space, it’s time to do a deep clean of your entire house. Mop the floors, shampoo the carpets, dust every hard-to-reach surface, and make sure the kitchen and bathrooms are squeaky clean. Make sure to clean every dusty corner of your house, as well as the appliances and fixtures, like your refrigerator, ceiling fans, and chandeliers. You want to give off the best impression when you sell your house, and making the space as clean as possible shows potential buyers that the house has been well taken care of. If there was ever a time to fix those dings in the walls and cover up your teenager’s bright pink bedroom walls, this is it. When you put your house up for sale, remember that what seems insignificant to you might be noticed by potential buyers who are scouring the house for imperfections. So, if the trim by your back door has been banged up over the years, replace or repair it before the open house. If there is a hole in your drywall from kids roughhousing indoors, arrange for a professional drywall repair. When all is said and done, paint the rooms an inviting neutral color, rather than leaving them whatever color your child picked out when they were 13 years old. When it comes to furniture staging, not all rooms are created equal. It’s okay to leave spare bedrooms plain because they aren’t the main focus, while the kitchen, living room, and master suite deserve some attention. Prospective home buyers want to be able to envision themselves living in your house, so stage your furniture tastefully without overcrowding the space or making it too personalized. Open the curtains to let in some natural light, and add a few house plants to freshen it up. Let the focus be on the room sizes, the layout, and the overall feeling of the space. 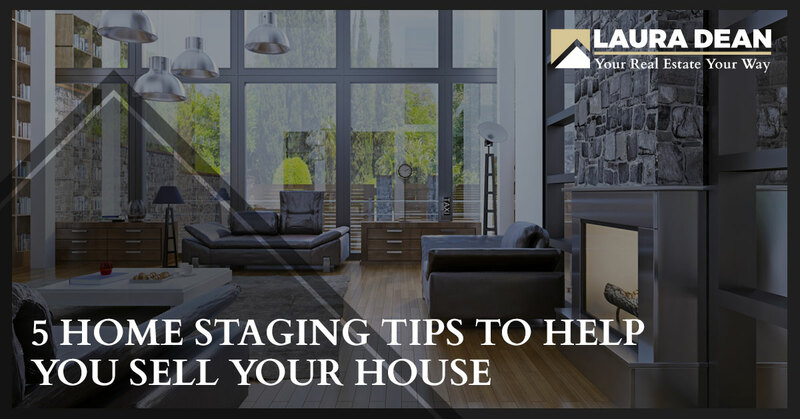 Looking for more home staging tips? Stay tuned for future blog posts, and contact Laura Dean Real Estate today to have Shreveport’s top REALTOR® help you sell your house! ©2018 Laura Dean Realtor - Do not copy. All rights reserved.